A fun road and a gateway to other adventures. 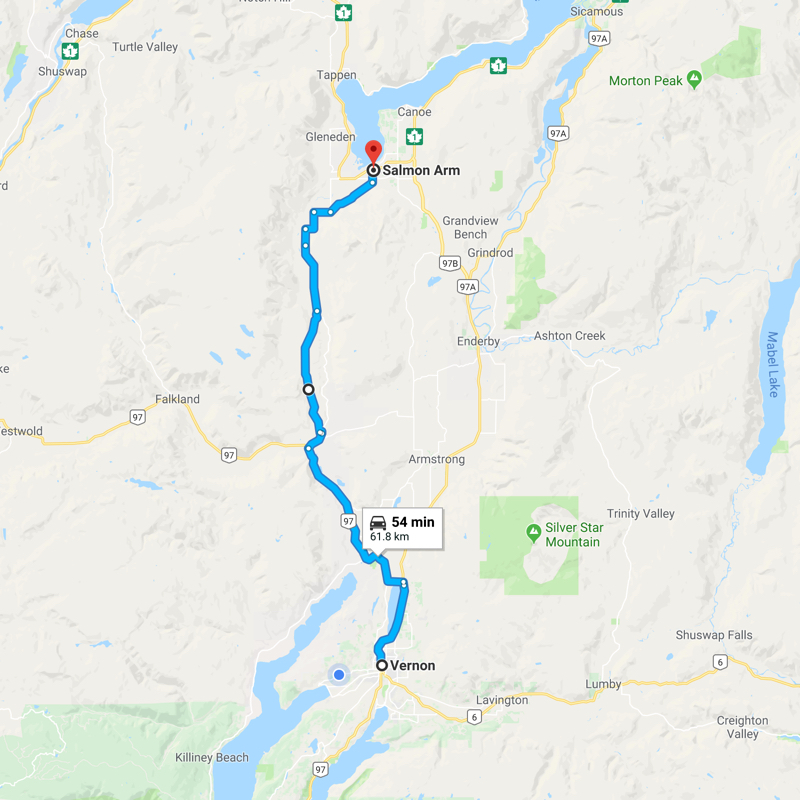 You can connect this with harder and more remote rides as the area abounds with resource roads and doubletrack. 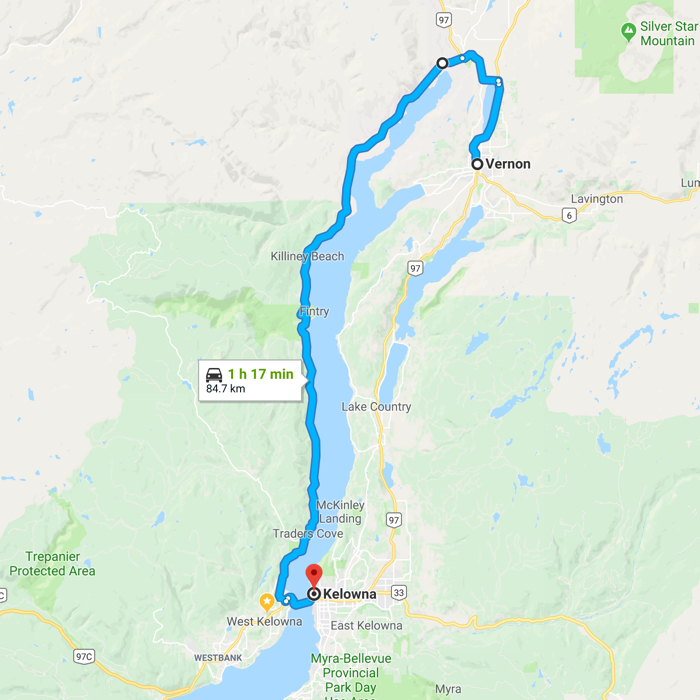 This is the fun way to go from Vernon to Salmon Arm, and back. 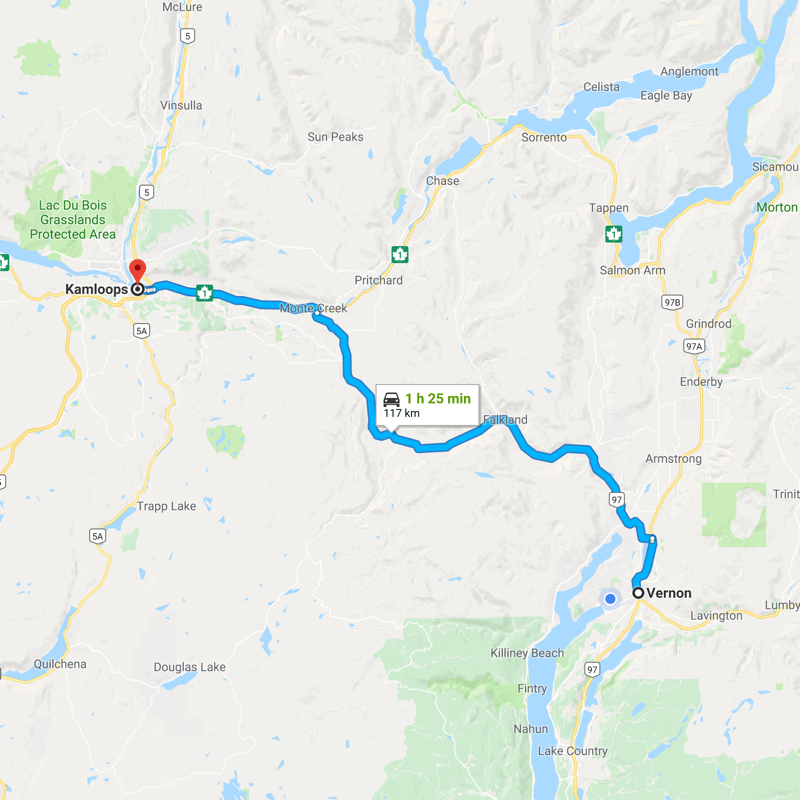 Highway 97 has some nice twisty bits. 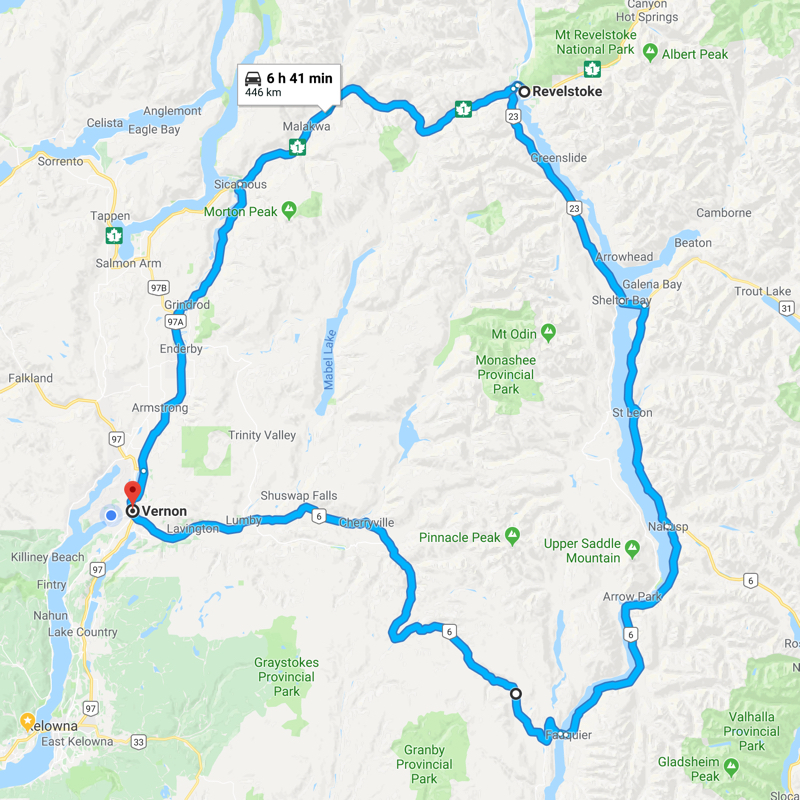 Highway 6 back to Vernon from Nakusp has been called the best motorcycle road in British Columbia. Coming up from the Fauquier Ferry through the twisty turns is amazing, especially if you can get started before, or in front of, the automobiles.